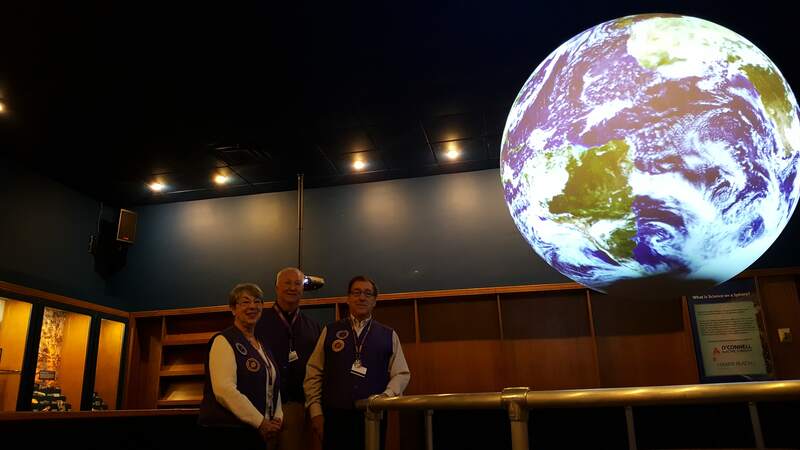 Volunteers are essential to the success of the Rochester Museum & Science Center. The involvement of hundreds of talented, committed individuals greatly extends the range, quality, and variety of our visitor’s experiences. RMSC volunteers are guided by the principles of engagement, innovation, passion, and excellence. 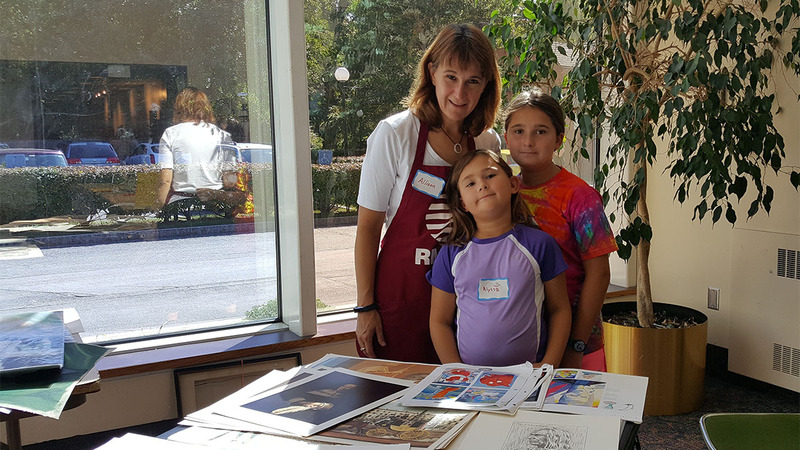 Volunteers place a focus on the visitor, create a welcoming environment, and help make the connection between exhibit content and the world around us. Which volunteer opportunity is right for you? "Ask It" Volunteers are members of our daily operations team who help create an environment for excellent visitor experiences. 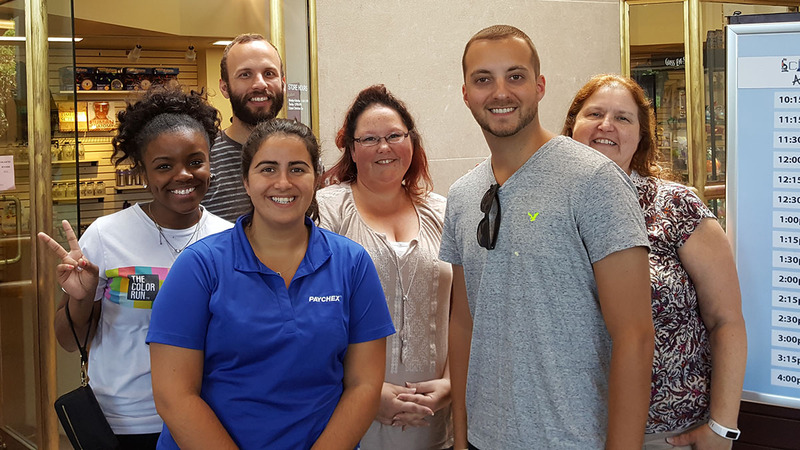 As part of the Education Department, "Ask It" Volunteers assist in the delivery of programming, help maintain exhibits and interact with visitors and groups. 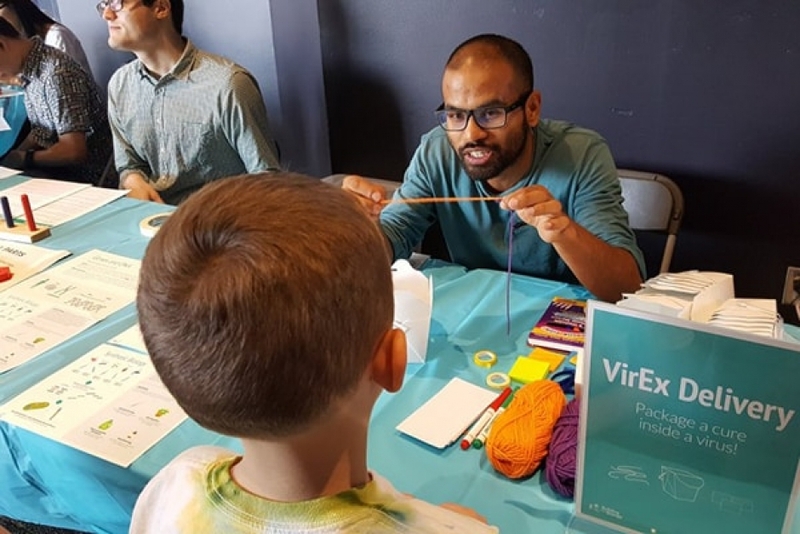 If you enjoy connecting with people and are passionate about science, technology, cultural heritage, the environment and working in the hands-on exhibit halls, then being part of the Education Department "Ask It" Volunteer team is the place for you! Visitor interactions are based on a fundamental enthusiasm for promoting understanding of science and technology, the natural environment and our region's cultural heritage. "Ask It" Volunteers share information with visitors in exhibit galleries. Are willing to learn or share their expertise from topics in Nanoscience to Paleontology. 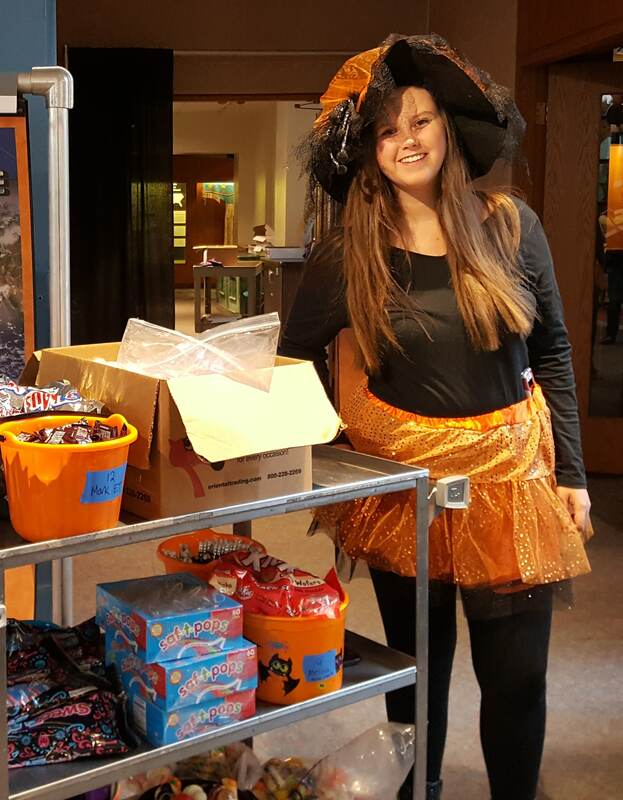 Shifts are scheduled during regular museum hours: 9am - 5pm Monday through Saturday, and 10am - 5pm on Sundays. Schedules will be set monthly, but we will work with your availability. Applicants must be 14 years old or older. Availability during regular museum hours: 9am - 5pm Monday through Saturday, and 10am - 5pm on Sundays. Availability to attend a training session. A commitment to complete a minimum of 40 hours within 5 months. Long-term volunteering is strongly encouraged. After application is reviewed, selected applicants will undergo an in-person or phone interview. Help kids stay curious with a hefty helping of hands-on, minds-on science and fun with camps at the RMSC this summer! 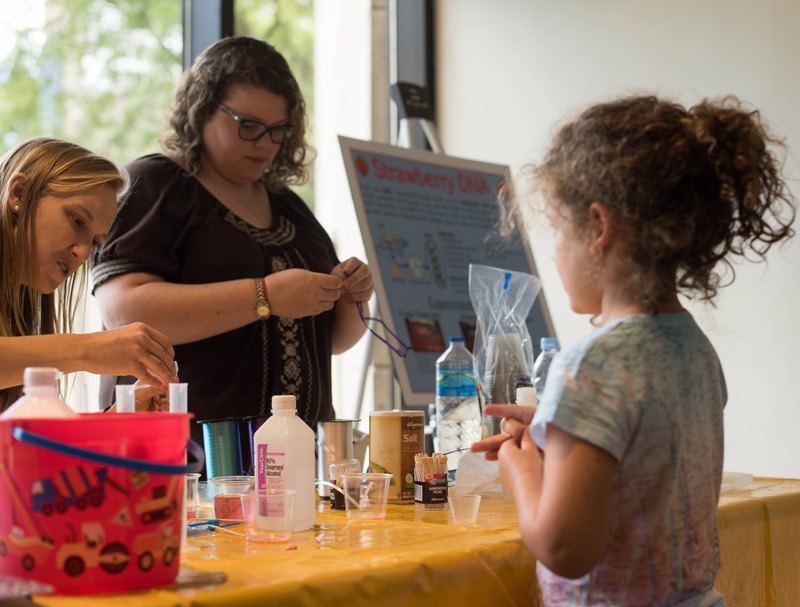 Summer Camps at the RMSC offer exciting opportunities in a wide variety of STEM topics for young minds ages 2-15. 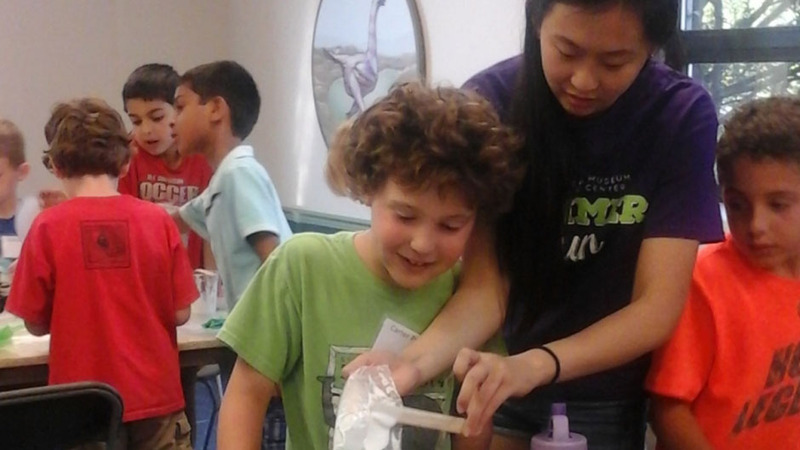 Get ready to facilitate new adventures exciting experiments with out campers! We're no longer recruiting volunteers for summer 2017, but we will welcome your application in Spring 2018! The RMSC continuously explores ideas to create new hands-on, interactive science and technology exhibits. This requires science and engineering expertise beyond current staff capacity. The RMSC Technical Advisory Group (TAG) has been created to help fill the gap through volunteers with building, engineering and science expertise partnering with RMSC staff. TAG’s purpose is to conceive, design, review, recommend and construct new hands-on exhibits that captivate the imagination while educating. 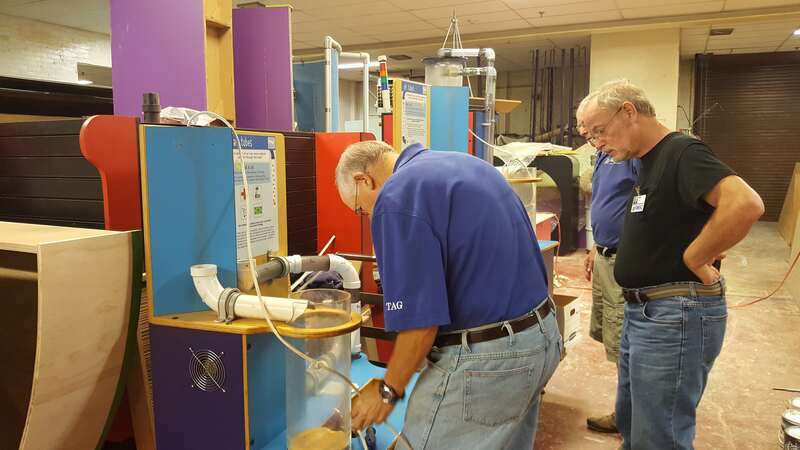 This process includes conceiving, prototyping, and testing exhibitions and work with RMSC to evaluate, build and install new exhibits. The TAG member base is diverse, drawing from the considerable technical skill base of the community. We have attracted men and women from local industrial R&D laboratories, universities, and school systems. The TAHG currently has a core group of 10-12 regular contributors and a larger group of occasional advisors and contributors. Membership includes scientists, engineers, high school science teachers, university faculty, students, graduate students. Availability on Tuesdays from 9am to noon (except holidays). Complete application form. A resume should be included. A cover letter describing relevant experience is optional. After application is reviewed, selected applicants will undergo an in-person interview and an opportunity to visit the fabrication shop were TAG members carry out their projects. Founded in 1941, the RMSC Council is a volunteer service organization that supports the RMSC by organizing special events and fundraising activities. The council provides its members the opportunities for educational growth and social interaction. 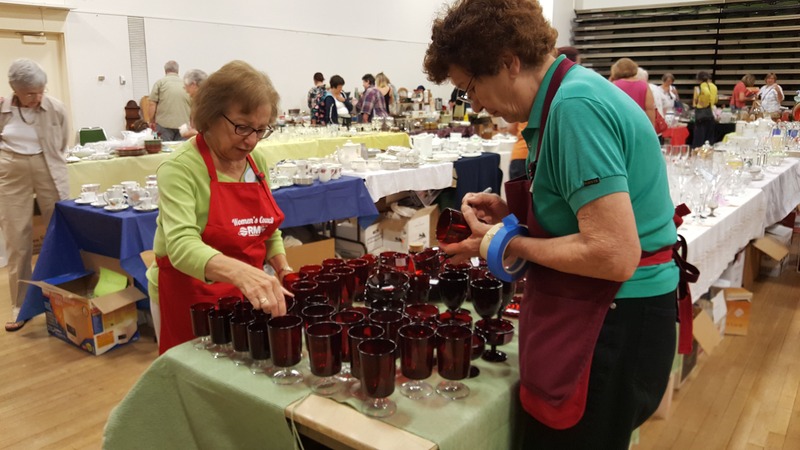 Some of the activities that the RMSC Council organizes are the Geranium Sale, Fantastic Findings Garage Sale and the Annual Holiday Bazaar Arts and Crafts Sale. Attend monthly programs on the second Tuesday of each month from September through May include a business meeting, guest speaker and luncheon. 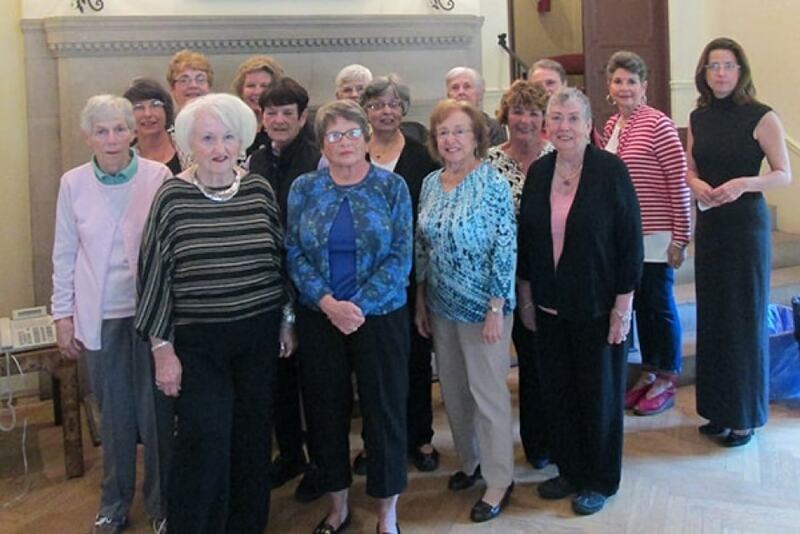 Active members are expected to volunteer 30 hours per year. Complete application form. A resume and cover letter describing relevant experience is optional. Docents share their knowledge and passion of the RMSC's collections and exhibits with our visitors. 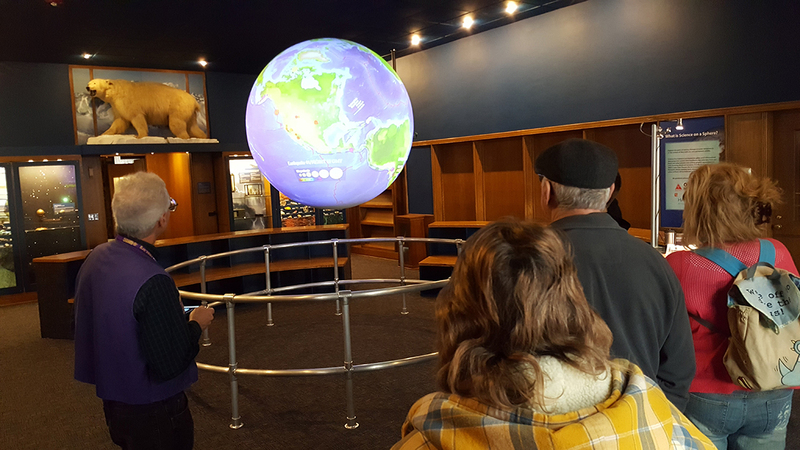 As volunteers who are trained to further the public's understanding of science, technology, the natural environment, and our region's cultural heritage docents lead visitors of all ages on tours throughout the museum. 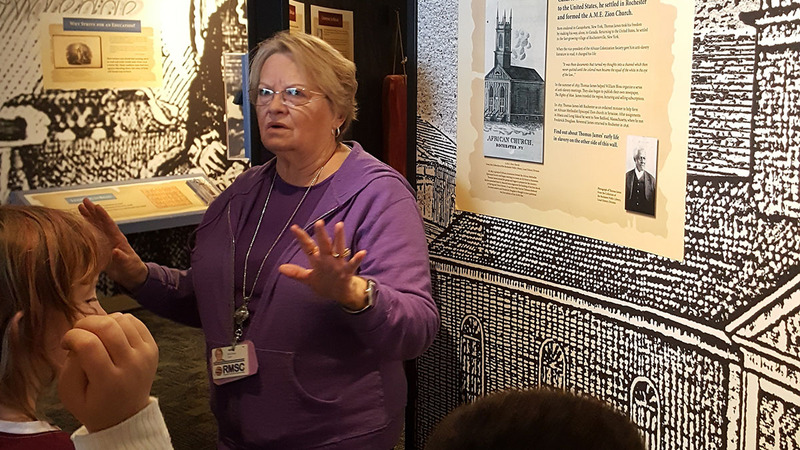 Docents are outgoing, enthusiastic communicators and are willing to learn about the museum exhibits and collections. Comprehensive training is provided and includes support from an experienced docent mentor. Association meetings, lectures and workshops are held on Mondays and are a time of sharing and learning. Availability during selected weekday mornings to train, shadow or lead tours. After application is reviewed, selected applicants will undergo an in-person interview and will have the opportunity to shadow one of the tours offered. 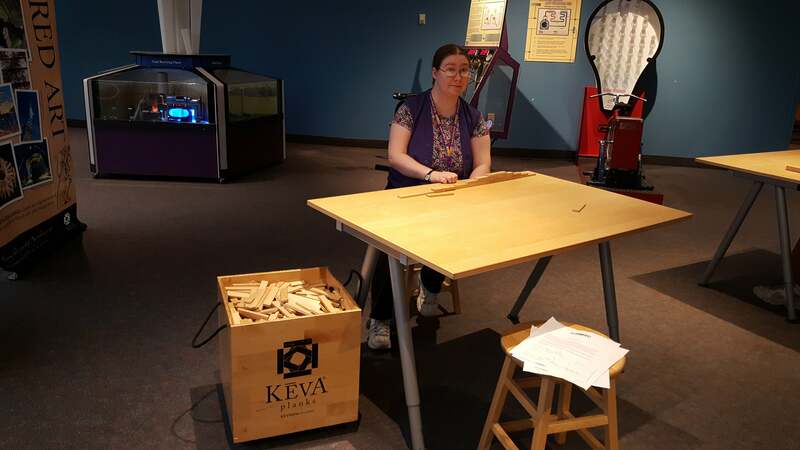 Volunteers in the exhibits department contribute their time and artistic expertise in the design and production of exhibits within the museum. 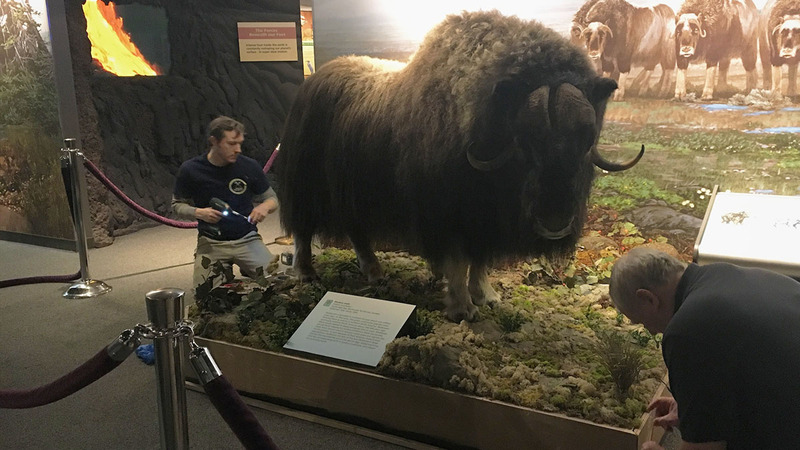 Our in-house exhibit personnel look for volunteers with fine arts, woodworking, sculpting, painting, digital media or animation backgrounds to help create engaging exhibits for the museum. Creating and building of exhibit furniture, kiosks and exhibit environments. 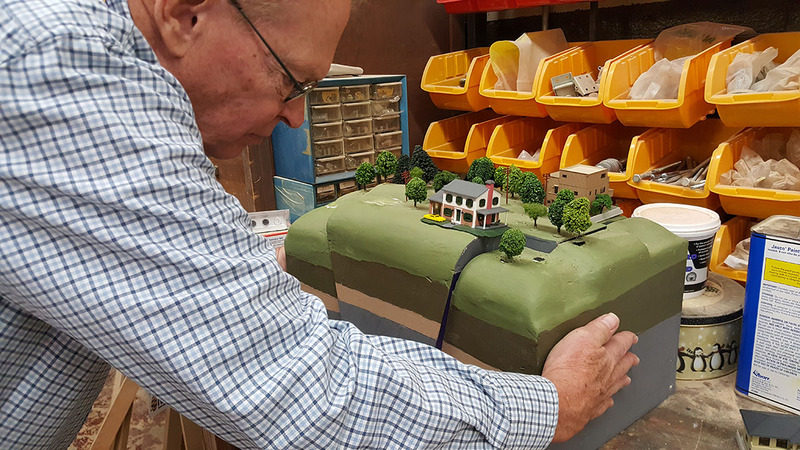 Creating scale models for use in exhibit development and within exhibits. Creating animations and digital media for use in exhibits. Available during some hours from Monday through Friday, 9 AM to 4 PM, no weekends, no holidays. Backgrounds in fine arts, woodworking, sculpting, painting, digital media or animation are preferred. Throughout the year, the RMSC organizes fundraising, and community events that help out carry out our mission. 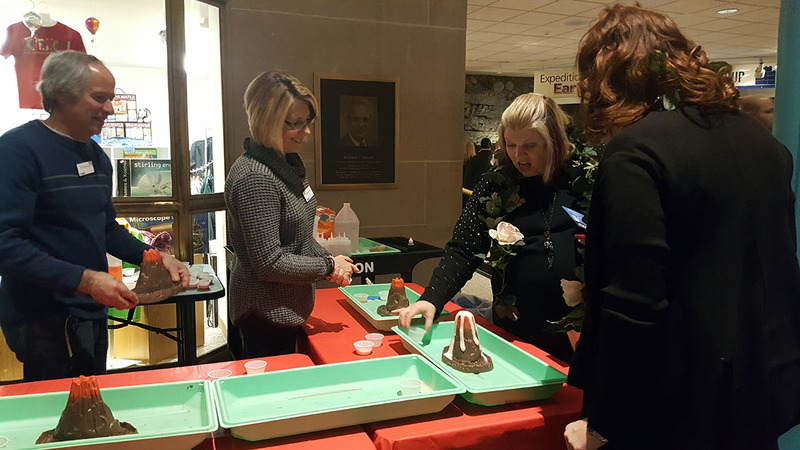 Events such as the After Dark social hours or the Innovation Celebration fundraising gala can be opportunities to engage as volunteers. For some events, volunteers must be 18 years or older. In events, such as After Dark, volunteers must be 21 years or older. Availability during the time of the event. A phone or in-person interview if selected to volunteer. Behind-the-Scenes volunteers who wish to contribute their time and expertise to specific areas within the museum by aiding RMSC staff in a variety of ways. Volunteers in the program work with staff members on both short-term and long-term projects. Opportunities are generally available in administrative offices, library, education department, conservation lab, curatorial areas, gardening, building maintenance, marketing, etc. Placements are determined by matching volunteer qualifications, interests, knowledge, and availability with staff needs. Upon completion of a written application and personal interview, qualified applicants are referred to staff members for consideration. The project supervisor provides training, if required. A time commitment during regular business hours, Monday through Friday, is requested for most projects. Others can be considered on a case by case basis. Inquiries should include information on the organization/group and number of volunteers. We limit the number of volunteers to 20 persons per volunteering day.